Research by Hotels.com and Tripadvisor.com show that Guest Wi-Fi is one of the most appreciated amenities in hotel rooms. For business travelers worldwide, Wi-Fi is more important than air conditioning and parking. Having a non-reliable, inefficient, or slow Wi-Fi can bring bad on-line reviews, worsen hotel reputation and reduce the number of bookings coming from word-of-mouth. In short, it makes hotels lose money. Did the last hotel, motel, Inn or resort you visited provide an in-room Guest WiFi service? We thought so. But did you know that Guest Wi-Fi, when done the right way, can be so much more than just connectivity? 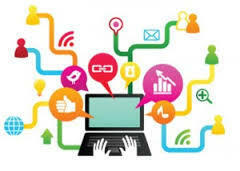 ServiceMyBusiness.com has built key partnerships to provide enhanced technology that turns this commodity into a business driver, helping your customers advance their business and gain a unique competitive advantage. Build revenue: Monetize your network through promotion and advertising. Improve customer experience: Do away with cumbersome passwords by enabling social media authentication, such as Facebook check-in. Support marketing efforts: Automatically provision custom-branded splash pages and captive portals, or collect presence analytics to push vouchers and coupons to a targeted audience. Market to your customers in real time: Deliver real-time coupons for nearby amenities and integrate location data with Customer Relationship Management, loyalty programs, and custom applications for targeted real-time offers. Use powerful analytics to know your clients and reward them: Analyze capture rate, dwell time, and new / repeat visitors to measure advertising, promotions, site utilization, etc. LIKES on Facebook: With “social login” the hotel manager can quickly see more Likes, check-ins and posts about the hotel on Facebook. Automated Marketing is essential for small and mid sized businesses today. A study by Software Advice, a company that helps buyers find the right software, found that small businesses in the U.S. are realizing the importance of connecting with customers throughout the entire buying cycle. As a result, they’re looking for integrated sales and marketing functions, typically provided within a Customer Relationship Marketing (CRM) suite. customer data and track customer interactions across the sales funnel. As such, it’s long been the first thing small businesses look for when it comes time to adopt a real CRM technology strategy. systems—up from 48 percent in 2013. When trying to select your CRM solution, contact a technology professional that can help you make the best decision for your company. 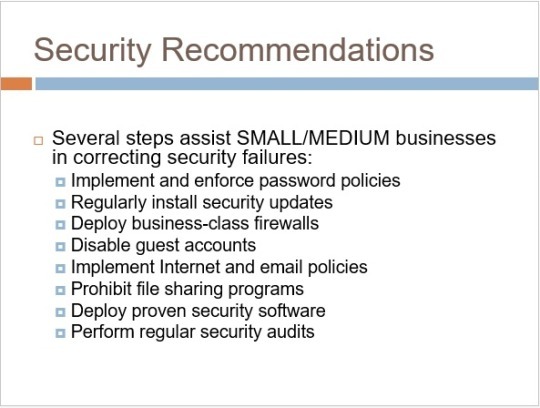 In addition to training, small & medium sized businesses also frequently fail to adequately accommodate security issues. Organizations either don’t recognize the risks or fail to take them seriously, thereby making security failures the sixth most-common tech mistake. The costs are staggering. Large US organizations lose some 2.2% of their annual income due to security attacks, according to an Infonetics Research’s Costs of Network Security Attacks report. That’s expensive. The FBI estimates such computer crime costs US industry in excess of $400 billion. Organizations need not possess a high profile to become a target, either. Hackers have created innumerable automated programs that scour the Internet 24 hours a day, 365 days a year, seeking poorly secured systems, servers, PCs and networks to infect and exploit. Unfortunately, businesses everywhere are falling victim to compromised systems, robotic attacks, identity and data theft and more. Organizations that fail to properly secure client and customer data often find themselves in the middle of security crises that result in bad press, lost sales and forfeited customer trust. The primary reason most new small businesses fail in the first two years is generally attributed to a lack of marketing savvy. Companies that make it past that initial period must continue best-practice marketing to remain operational. 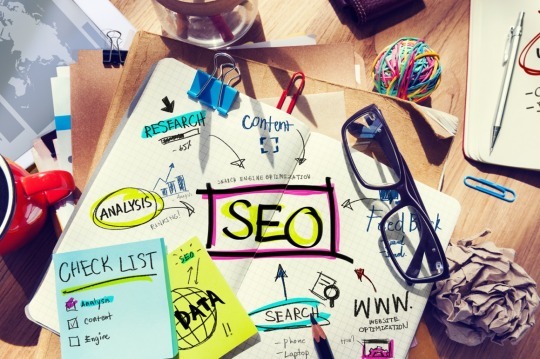 But with bigger competitors using all sorts of sophisticated marketing technology to attract customers, it is time for many small business owners to up their game. Thanks to a plethora of cloud-based marketing applications, small business marketing costs are much more affordable. Laurie McCabe says that choosing the right automated marketing tools may be one of the most important decisions a business makes. McCabe cautions SMBs against blindly buying into the marketing hype that most vendors serve up. The best way to progress is to attend a webinar or an on-site event where you can ask questions, and take advantage of free trials. Ask for references from customers that are similar to your business, and talk to them to find out about their experiences in deploying, using and getting value from that product. “Try to test-drive at least a couple of different solutions to get a better idea of the options, as well as which type will work well for your business,” said McCabe. Hotel Managers and Owners in Canada still think the Hotel and Inn business hasn’t really changed, and that liability due to poor Cyber Security really don’t affect them. It’s important to realize that in today’s very connected world, Cyber Security is paramount for your clients, your hotel and your ratings. We provide I.T. Solutions for SMBs. If you are a small or medium sized business, and need help with your I.T., give us a call. We provide I.T. Solutions for SMBs at an affordable price. If you need financing, we can also help. We provide our clients with affordable, best-of-breed Information Technology (I.T.) solutions that help them SUCCEED and reduce their pain points. We believe in our core values of integrity, client satisfaction, and innovation, differentiate us from our competitors. Our focus on developing and maintaining measurable client satisfaction has created a company culture where we deliver top of class service, every day. ServiceMyBusiness.com is your partner, a company who cares. We are continually focused on finding ways to help our clients and community. Our attitude toward great service and helping others makes our culture inviting and fun. We are always looking for the brightest and most talented people around to join us in servicing our clients. Our experience is derived from work completed in the banking, health, production and government sectors. This work has made us a recognized I.T. Services company for many clients. Experienced in certification and accreditation, policy compliance, high assurance solutions, critical infrastructure and remediation; make our service offering expansive and industry leading. ServiceMyBusiness.com, I.T. Solutions for Small and Mid-Sized Businesses. If you have any questions around I.T. Solutions for your Small or Mid-Sized Businesses, please feel free to reach out to us at info@servicemybusiness.com or at www.servicemybusiness.com.